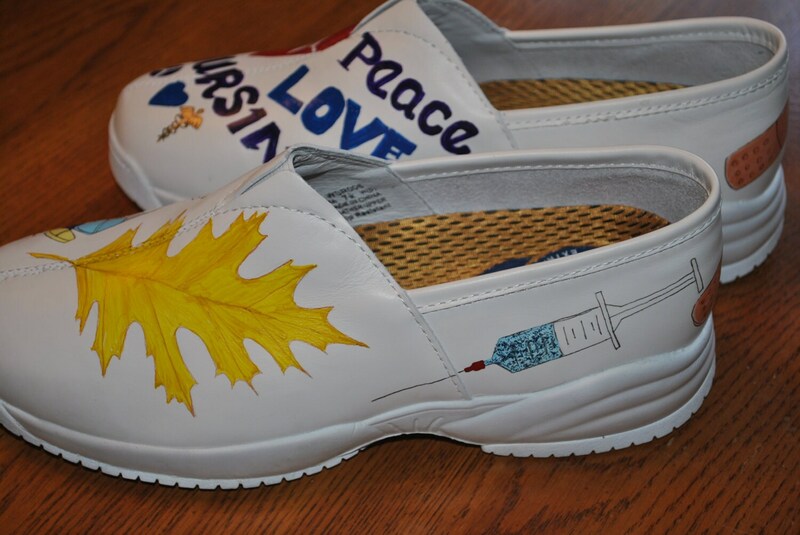 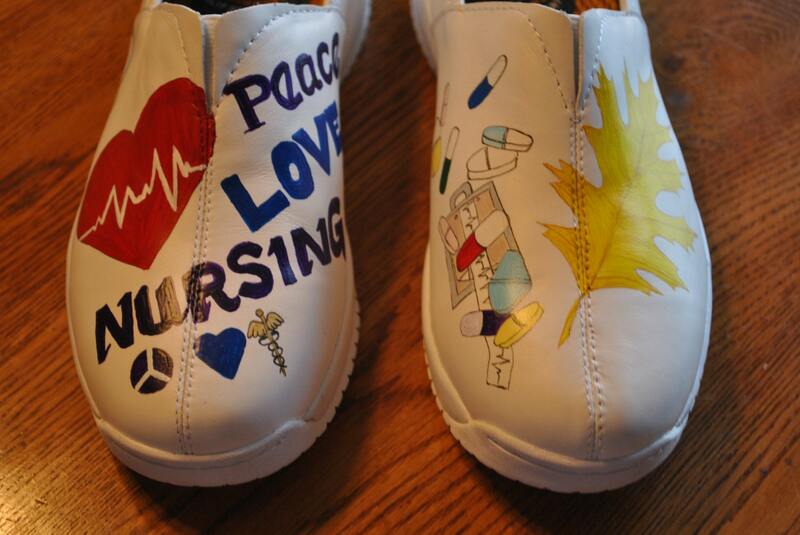 Designed for a Nurse who was in the service and her ICON was a oak leaf.. she wanted Peace,Love, Nursing incorp. 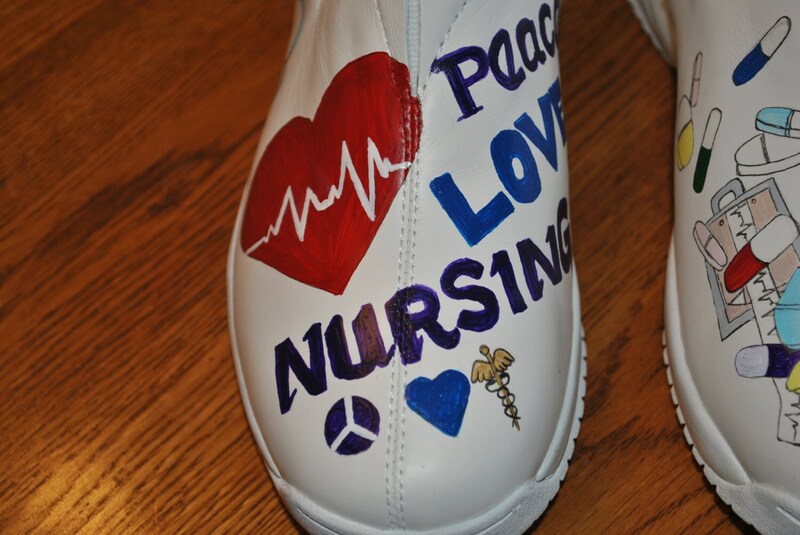 along with other nursing icons. 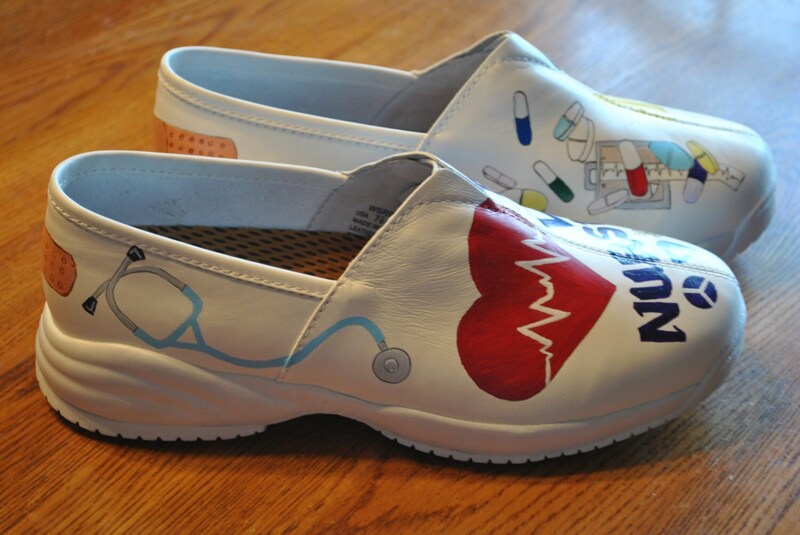 These are more expensive because the shoes were more expensive. 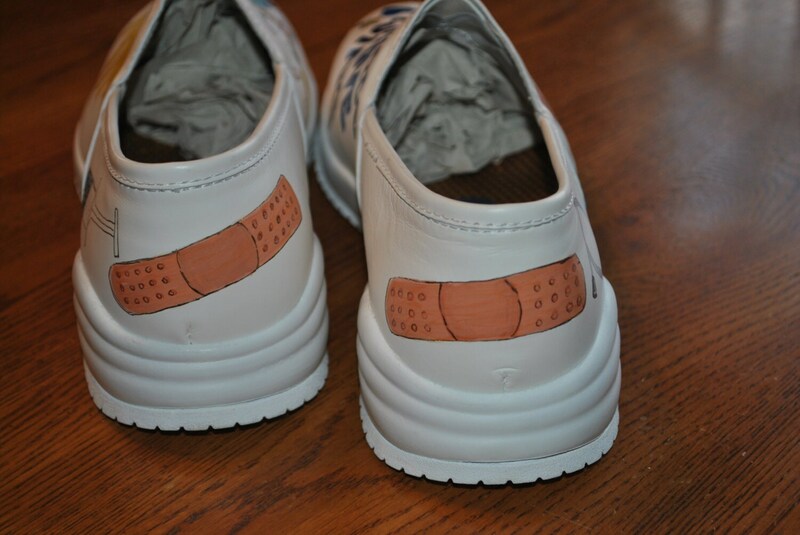 And special leather paint I had to invest in.